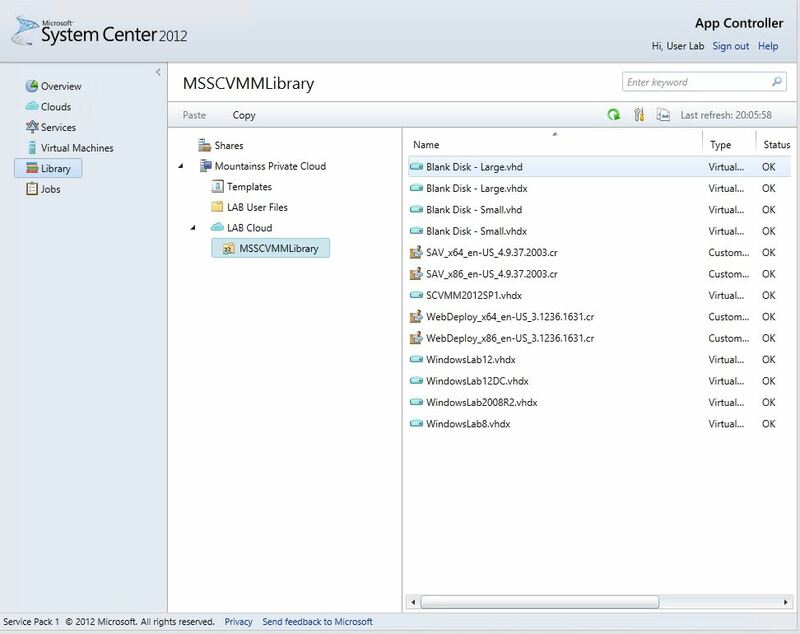 In the Last blog post ” Manage Self Service (Multiple) Private #Cloud with Tenants for in your datacenter with #SCVMM Part 1 of 2″ we talked about making Private Clouds with System center 2012 SP1 Virtual Machine Manager. 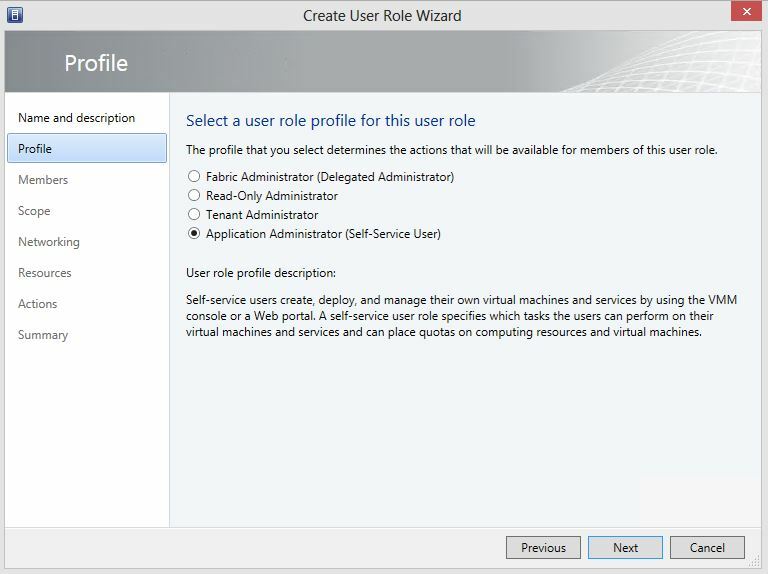 We now are going to the Self Service part, in System Center Virtual Machine Manager 2008 R2 we still had Self service Portal option in the setup. 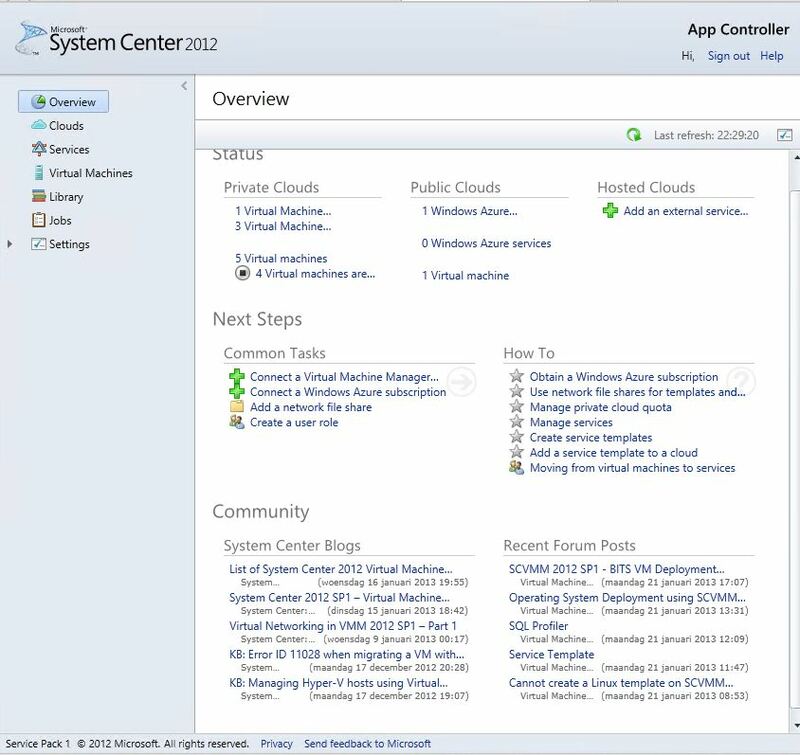 Since System Center 2012 is this option replaced by System Center 2012 SP1 APP Controller. 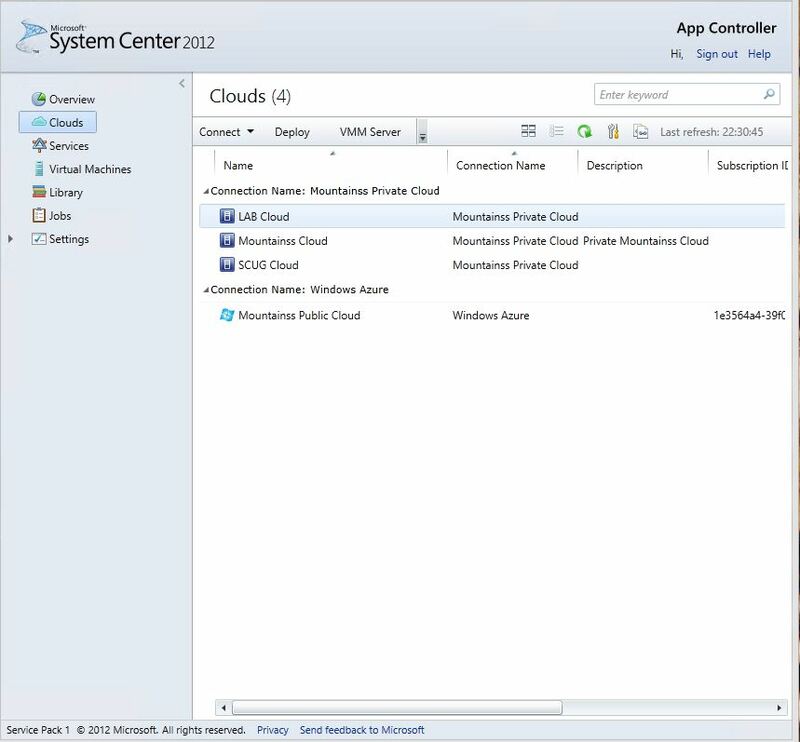 From here we are going further with the Private Clouds which we created with System Center 2012 SP1 VMM and create Tenant Cloud Users or Admins for Self Service with System Center 2012 SP1 APP Controller. 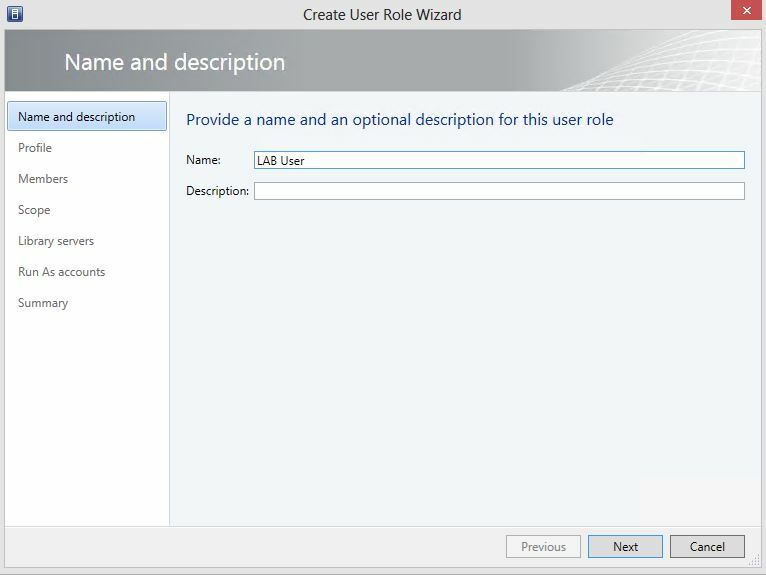 Create a User role in Tenants. 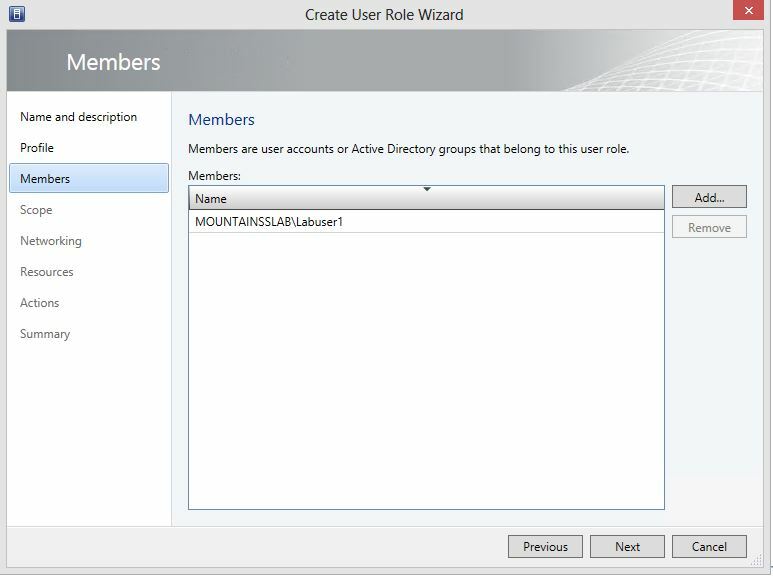 Here You can Select one ore Multiple Private Cloud(s) to manage. 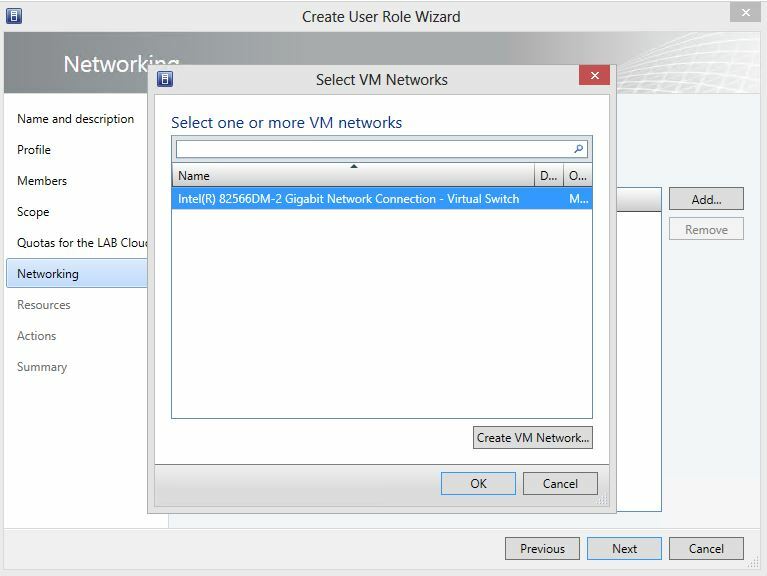 Here is the Virtual Switch selected. 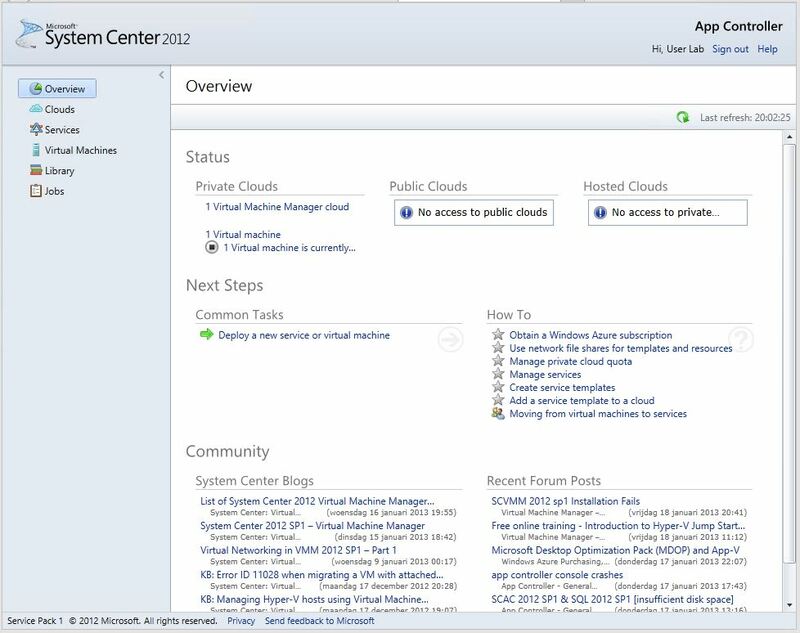 Here you select the resources for in the Private Cloud to manage. 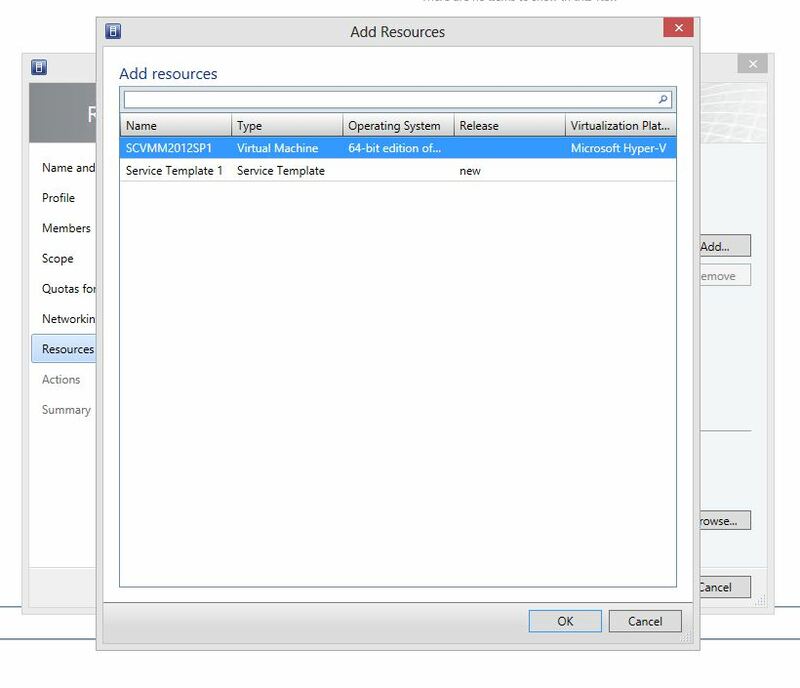 Now we have selected Virtual Machine SCVMM2012SP1. 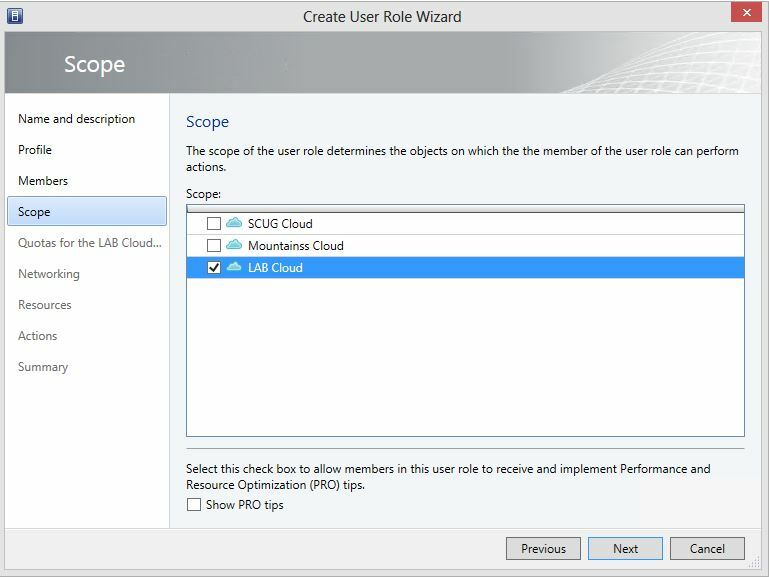 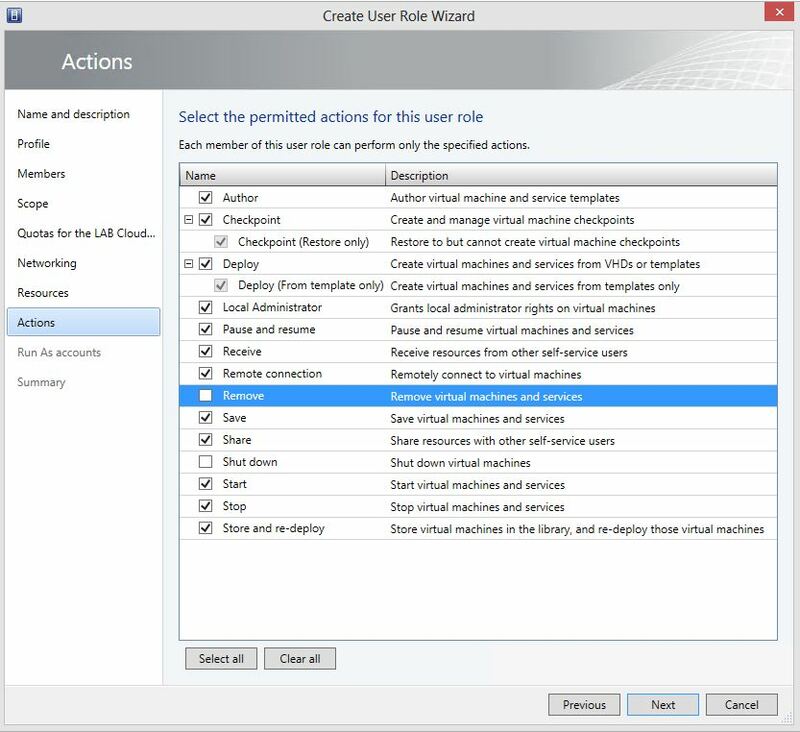 Here you select the permitted actions for the User role. 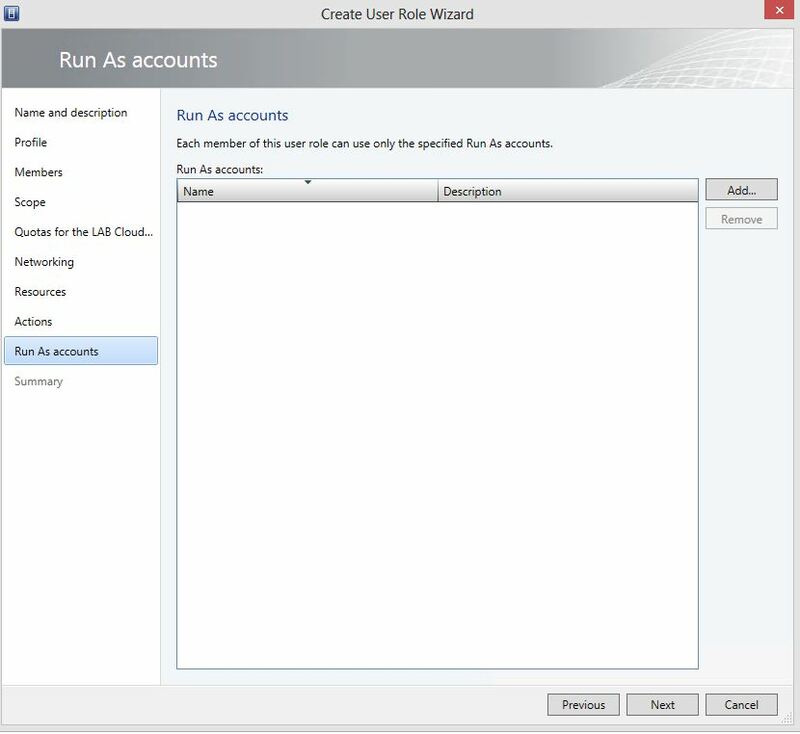 Here you can select Run As Accounts for the User Role to use. 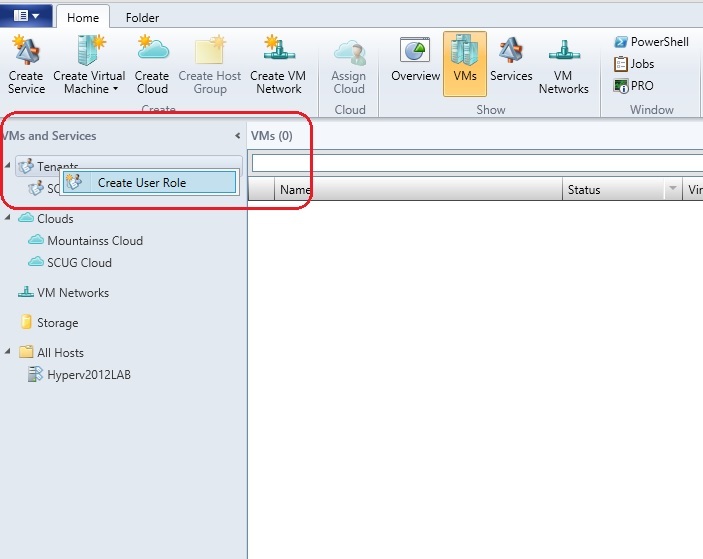 Here we finish making the tenant user for the private Cloud. 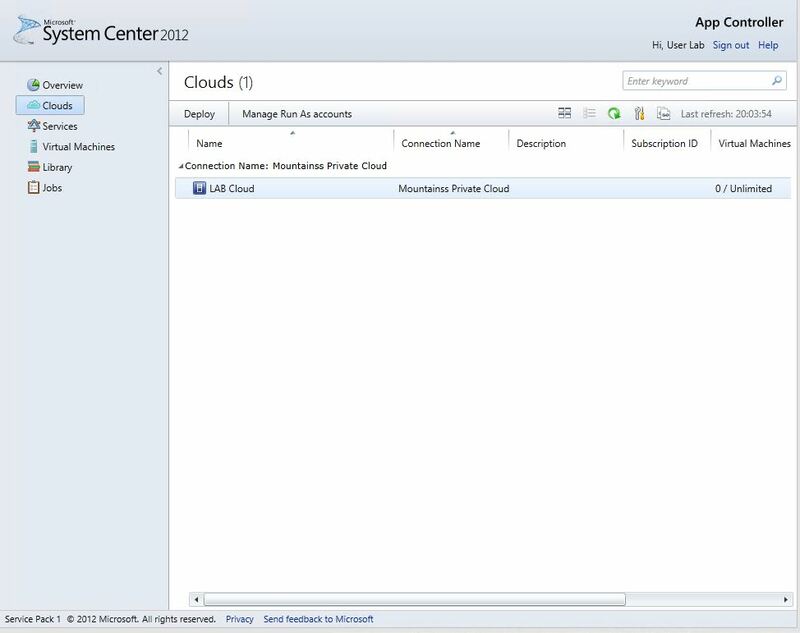 Now we have made the Self User for this private Cloud, he or she can login in System Center 2012 SP1 APP Controller to manage this Cloud with these settings. 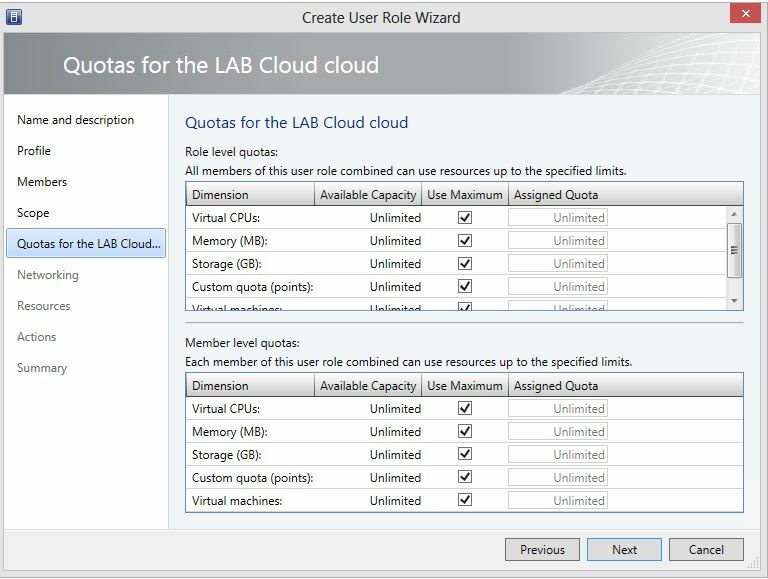 The Labuser has only Access to private Cloud. 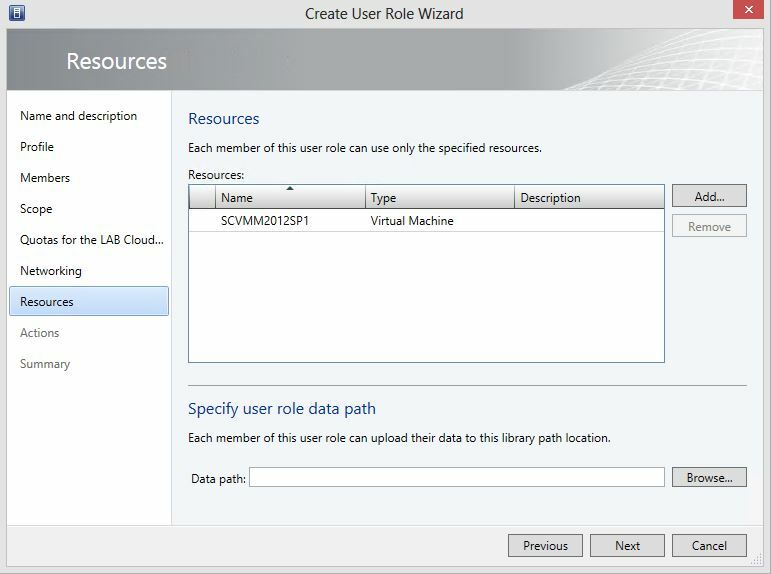 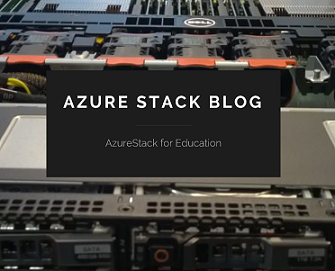 The One Private LAB Cloud we Selected with SCVMM. 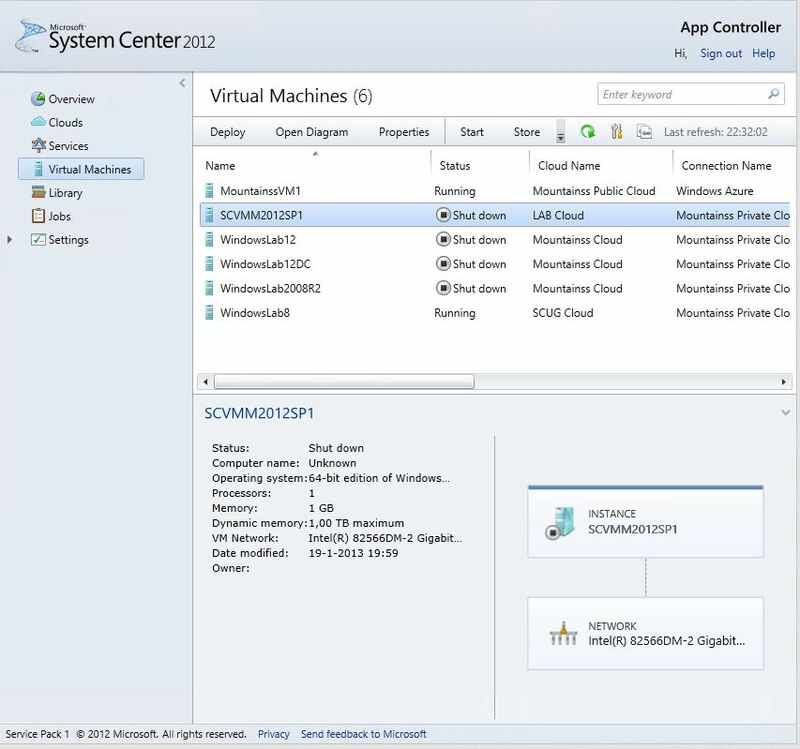 The Virtual Machine Labuser can Manage from SC APP Controller. 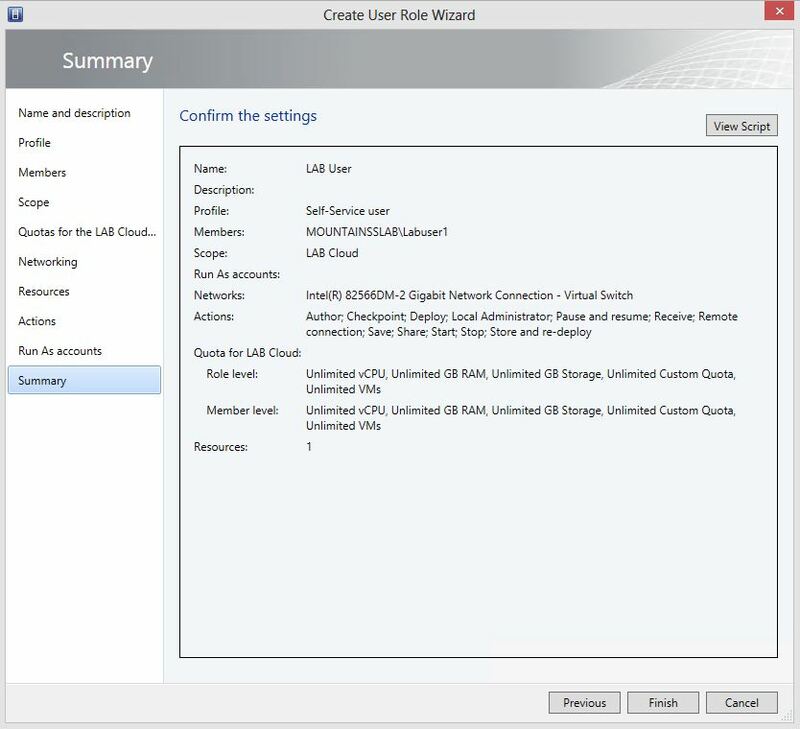 The Virtual Library Which Labuser can use for his Private Cloud. 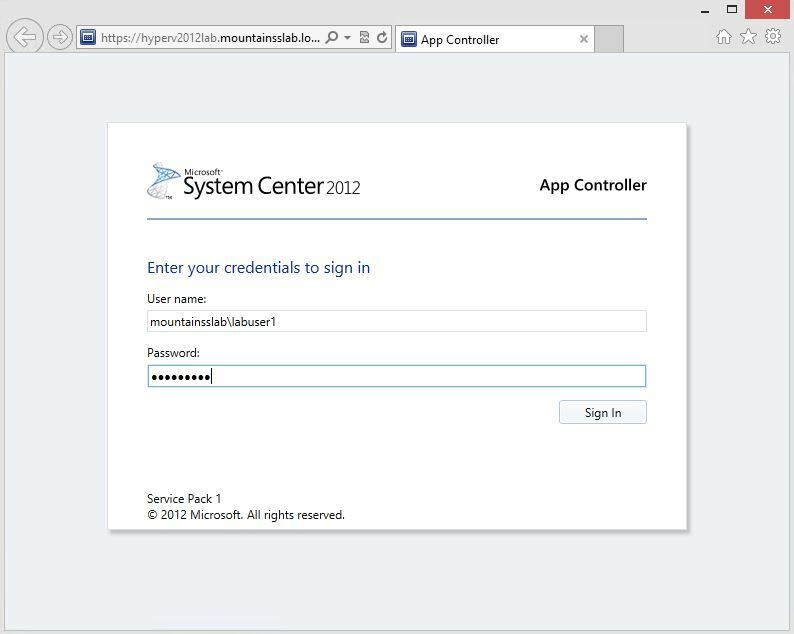 System Center 2012 SP1 APP Controller Administrators overview. 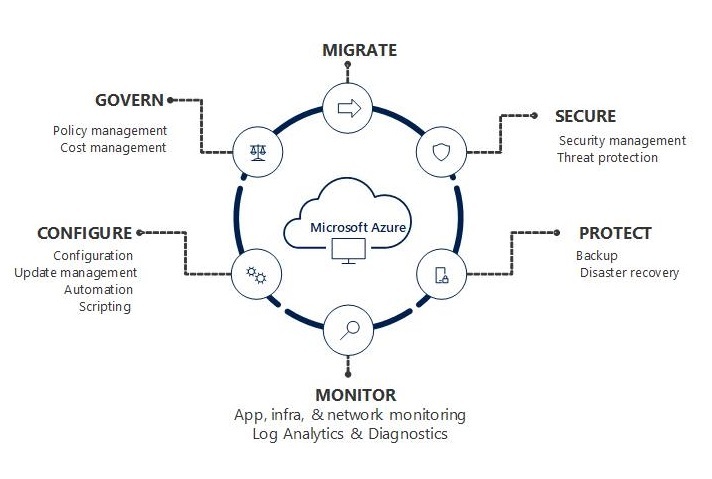 Manage Multiple Clouds, Like Private Cloud and Public Cloud or Hosted Cloud. 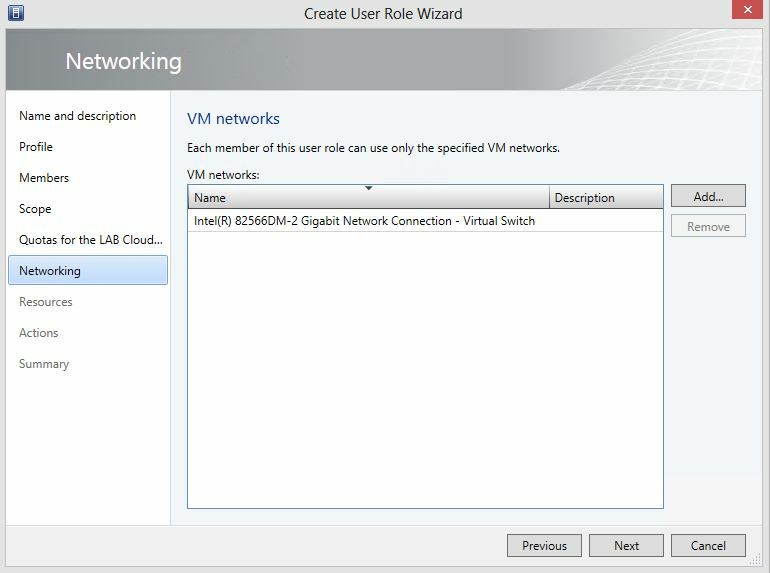 Manage Virtual Machine in different Clouds. 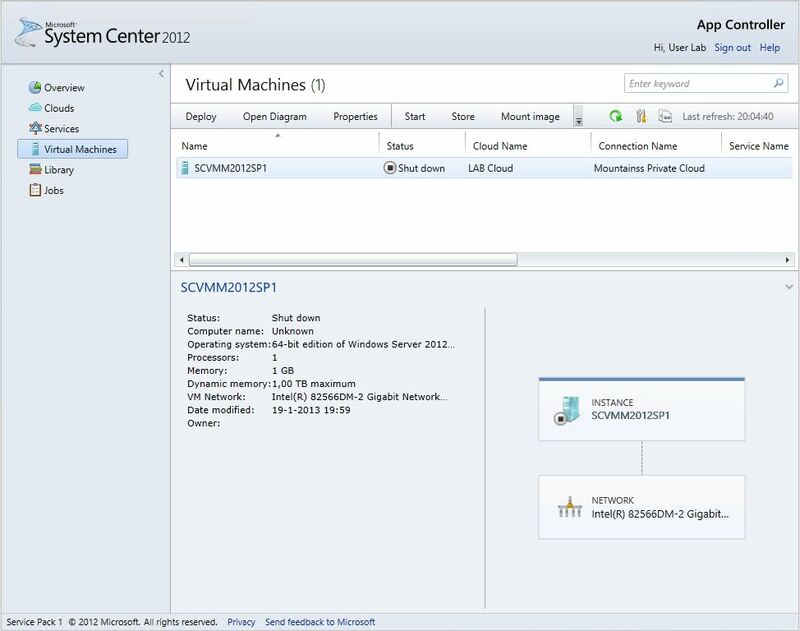 Categories: SCVMM 2012, WindowsAzure | Tags: Cloud, SCVMM, sysctr, WindowsAzure | Permalink.